Project Design Construction is something we do for many of our clients and there is no problem we can’t solve. 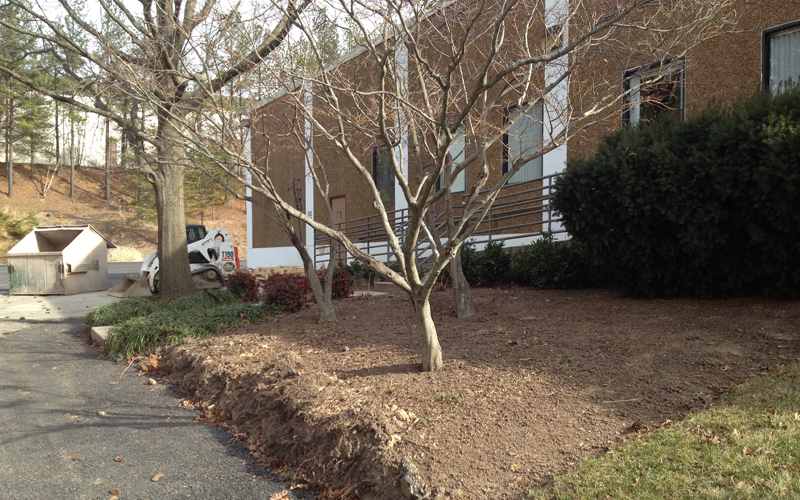 We have been handling construction as well as renovation projects in the Mid-Atlantic Area for over 30 years. Because of our experience we can work on minor as well as major renovations and construction. 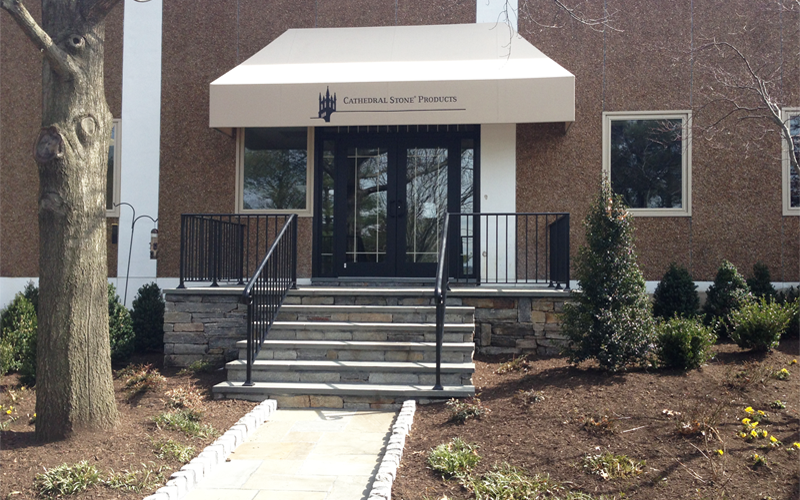 The following is an example of one of the projects we successfully completed for Cathedral Stone Products. Cathedral Stone Products came to us because they were making changes on the interior of their office by moving the lobby from one side of the building to the center of the building. Part of that reconstruction included moving the CEO’s office closer to the lobby. This major renovation inside, made it essential for the outside of the building to change too. Tasked with above problem, Gold Leaf Group came up with a solution that addressed all of our clients’ issues. 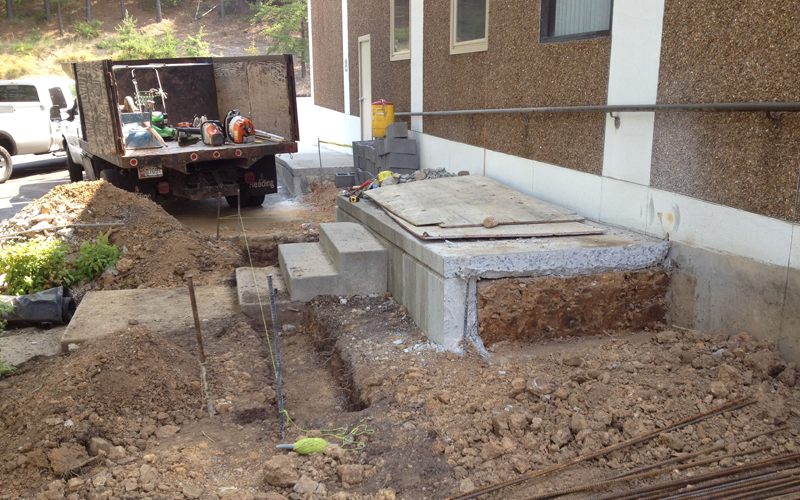 Specifically, we started by getting rid of the ramp that was leading up to the existing side door. We then made a cut-out for a new double door entry way with awning, brand new steps, an inviting walkway and new landscaping on all sides of the entrance. 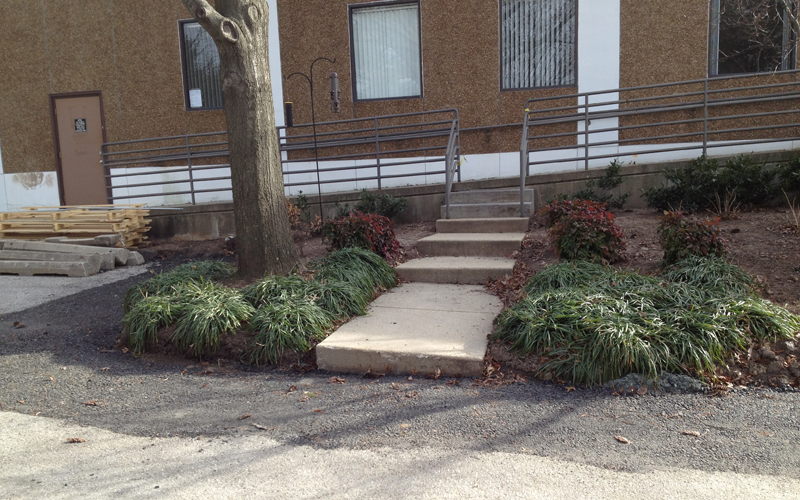 In addition, we re-purposed the existing service door to be ADA compliant and created a ramp that lead to that door. Finally, we re-marked and defined the parking spaces in the parking lot.